I'm catching up with some columns I've missed for various reasons, this one is from the 18th August: as always, the Catholic Times. Today we are treated to the startling admission I quote in the title of this post. A constant theme running through Archbishop Bugnini's The Reform of the Liturgy is the fear that Pope Paul VI continually expressed to him--that no liturgical reform would succeed unless the officials of the Roman Curia come 'on board'. he was right. They didn't come 'on side'. And the reform didn't succeed as the Council had intended. Certainly, the Council intended that Latin, for example, 'be preserved in the Latin Rite', and this was thwarted: I give similar examples in a post here. It wasn't thwarted by conservative Curial officials, but by gung-ho reformers like Bugnini. But isn't it interesting that Loftus, in his old age, looks back at the reform and says it was a failure. 'It did not succeed as intended.' What should have happened? The mind boggles. After spluttering a considerable length about who the proper persons are to wash the hands of prelates at Mass, and according to what details of what liturgical law -- something which suggests, not for the first time, that Loftus is a bit of rubrical obsessive -- he suddenly tries to turn it around. 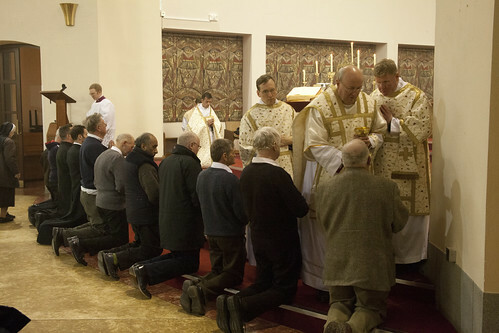 Most dioceses have the odd priest who has always been considered to be 'odd' also in the eccentric sense - the one who takes the beggars at the presbytery, or pesters the bishop for a non-parochial posting among the down-and-outs. 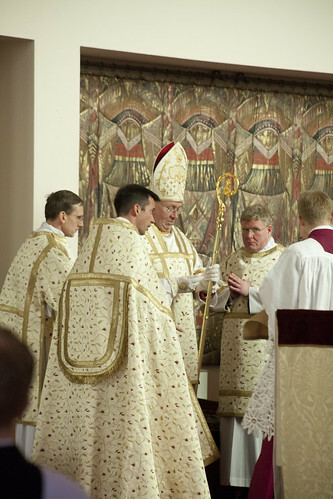 Those margins of diocesan life may be about to become the centre of the local church. These priests may be set to be the bishops of tomorrow. Conversely, the introspective counters of grains of incense, the 'doers' of the bits in red and 'sayers' of the bits in black in the Roman Missal, the devotees of lace and frills, may soon find themselves in the margins of the Church. The jewelled mitre is removed; mitres go on and off a few times. Anyone who nowadays advocates the continuing existence of this liturgy or takes part in it is treated like a leper; all tolerance ends here. Another of Loftus' delusions is that there is some kind of mutual incompatibility between taking the liturgy seriously and taking an interest in the vagrants. He doesn't present any argument for this view, he tries to establish using purely rhetorical means. But those most attached to evangelical poverty, and those most concerned with making the liturgy as lovely as possible, have often been the very people most committed to the poor. Loftus even suggests that Mother Theresa is on his side: he should watch out, she was a ferocious opponent of Altar Girls, one of Loftus' hobby-horses. Another good example is St Jean Vianney, who wouldn't spend money on himself but bought the finest silks from Lyon for the service of the Altar. 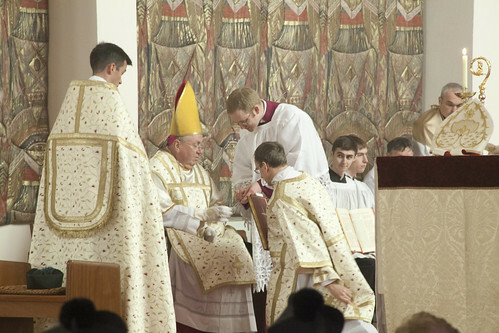 Wearing the lighter, plain mitre, he blesses the deacon who is about to sing the Gospel. Christ instituted a Church served by bishops, not ruled by princes. 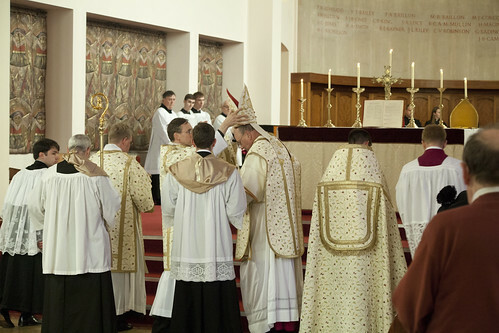 They in turn co-opted priests as their associates, not mini-prelates, canons, prebendaries, deans, and provosts. The later changes had nothing to do with the Church he [sic] founded, and everything to do with a system of government borrowed from the Holy Roman Empire, which clerics began to ape from the fourth century onwards. This system made a mockery of the unity of the Popel of God baptised in Chrisit, by giving more importance to the division of clergy and laity. It shows every sign of coming to an end. Loftus seems to be advocating some kind of ecclesial anarchism here. Does he not think that the Church should be governed? What, for example, does he think Provosts do: don't superiors have a necessary function? He washes his hands - this happens twice. The Assistant Priest in the cope looks after his ring during this. He's not against power being exercised, he just wants it to be exercised by a bureaucracy. Give me a prebendary any day. But isn't this wonderful? The Church began to 'ape' the 'Holy Roman Empire' in the 4th century. The Holy Roman Empire can be said to have come into existence with the coronation of Charlemagne on Christmas Day in the year 800. Those 4th century Popes and bishops, they had uncanny foresight. And now he is doing what the whole thing was for: feeding his flock. 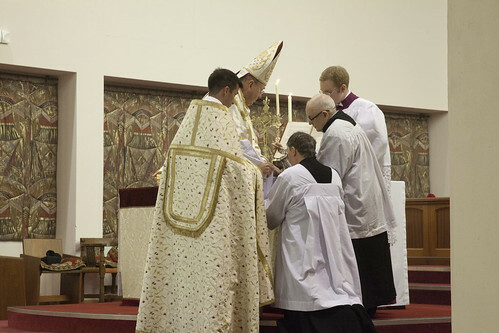 Pictures: just to annoy Mgr Loftus, they show Bishop McMahon pontificating in his own diocese, at the Latin Mass Society Priest Training Conference at Ratcliffe College, Leicester. 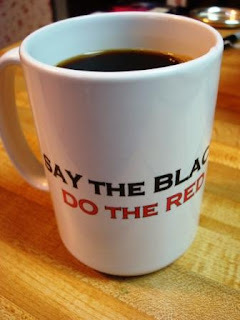 There's one simple fact. Christ and His message still live. We'll all be forgotten - and that includes Mgr. 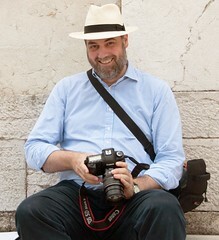 Loftus and his wonky, wacky ideas. Another of Loftus' delusions is that there is some kind of mutual incompatibility between taking the liturgy seriously and taking an interest in the vagrants. Thank you, thank you, thank you, for making this point, Dr. Shaw. I had best stop, as I am informed that this sort of observation of self-pitying traditionalism. Just the same, your point is well made, as is the larger point that what progressives like Msgr Loftus really seem to want is not democracy so much as bureaucracy - merely exchanging power from one elite to another, one more to his liking. It's probably time that Mgr Loftus and his band of brothers lost the title of 'progressive' - they're now 'regressives', who continually hark back to the Good Old Days of the 1970s.